I have to admit that Colombo did not win us over on our first visit to the city back in 2014. But we have been to the city several times since then, and now we actually like the city. With a population of 5,6 million people, Colombo is a big cosmopolitan city that has changed a lot in the last couple of years. It is experiencing quite a building boom of high skyscrapers, new roads, several posh hotels, a gigantic TV tower that will also house a hotel and a big shopping mall, as well as a new harbor port. Colombo is a busy and vibrant city divided into 13 districts, with Colombo 1 or Fort Area being the center of the city. 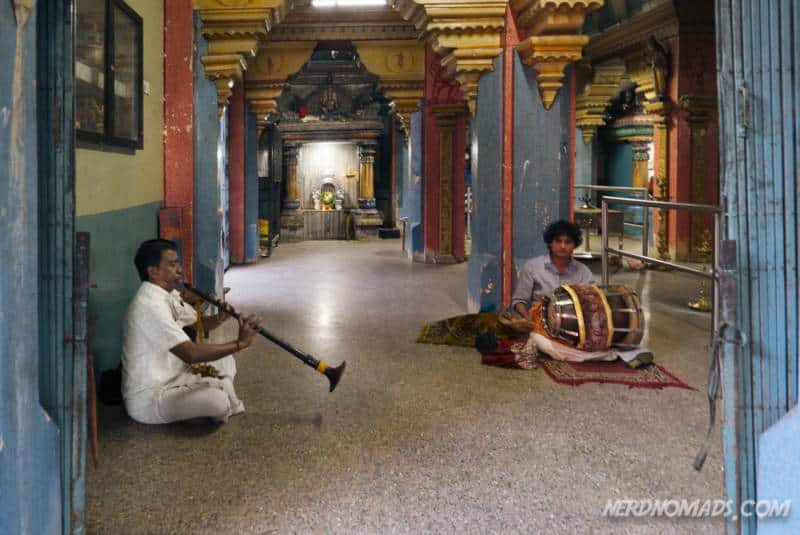 It is also the most ethnically mixed place in Sri Lanka with both Muslims, Hindus, Christians, and Buddhists. 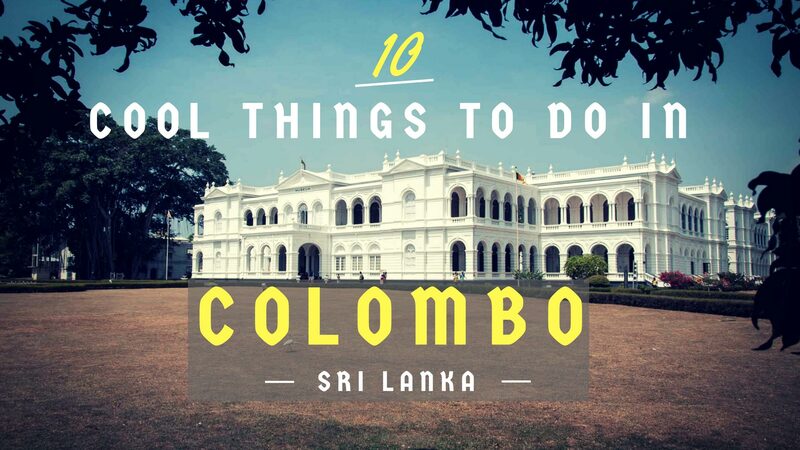 It is a city with a great mixture of modern life and architecture, and old colonial buildings and ruins from the time when it was the capital of the British Ceylon (from 1815 until Sri Lanka got its independence in 1948). Colombo actually served as a seaport town as far back as the 5th century, as it has the perfect location for trade between Asia and Europe. It has since had Arab, Portuguese, and Dutch settlers so it has been quite international for many decades. 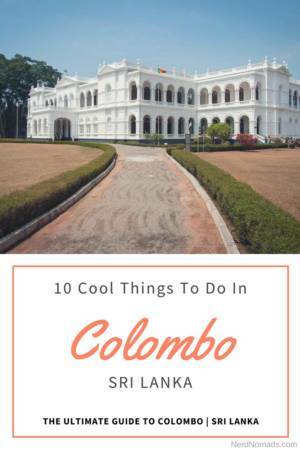 Although Colombo lacks famous signature must-see sights like the other capital cities of Asia have, Colombos charm lies in its different neighborhoods like the Fort (Colombo 1) and Pettah (Colombo 11). 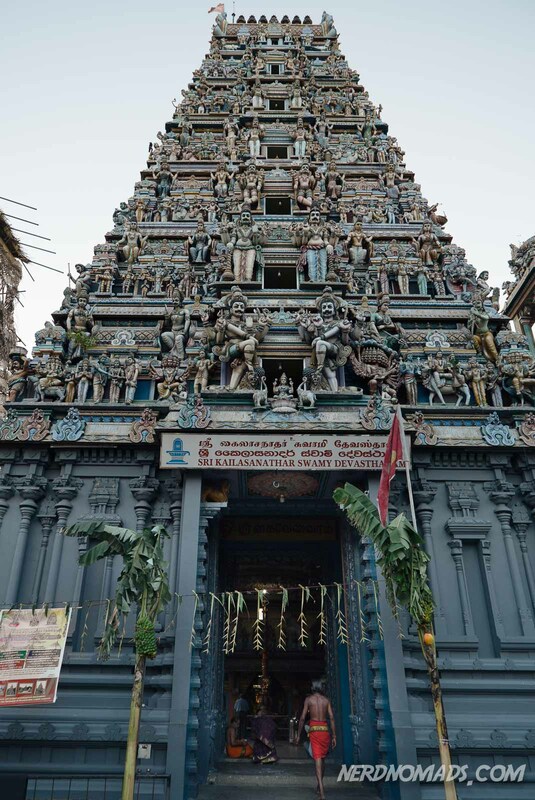 Put on some good walking shoes or sandals, and simply walk through these two old neighborhoods (Fort and Pettah) that are packed with history and beautiful colonial buildings and markets. 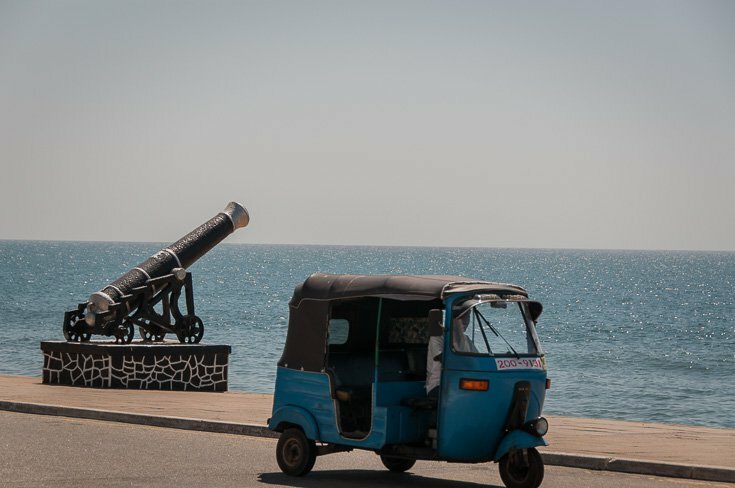 Take a tuk-tuk to the rest of the sights, and wind off your sightseeing of Colombo with watching the sunset at Galle Face Green while enjoying some delicious Sri Lankan rice and curry. 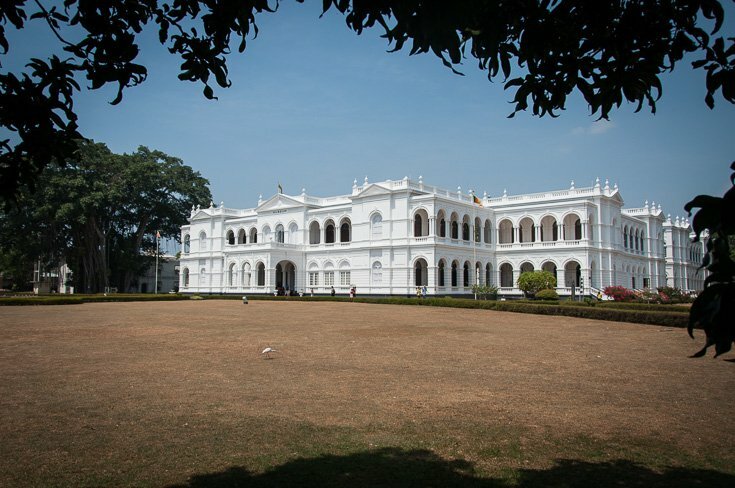 The beautiful building that houses the National Museum, was built in 1876 and founded by the British governor of Sri Lanka at the time. It is the largest museum in Sri Lanka. Surrounding this amazing building is a lovely and peaceful green park. 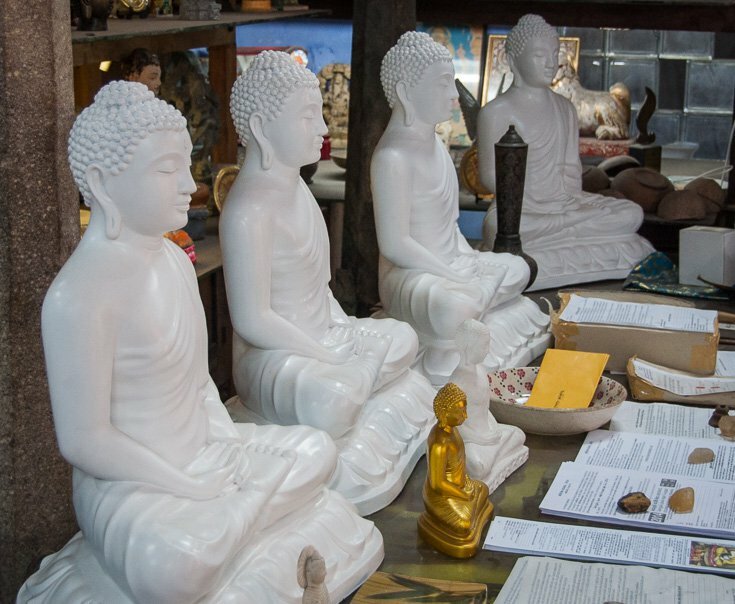 Inside the museum are statues and exhibits telling the story of ancient Sri Lanka. 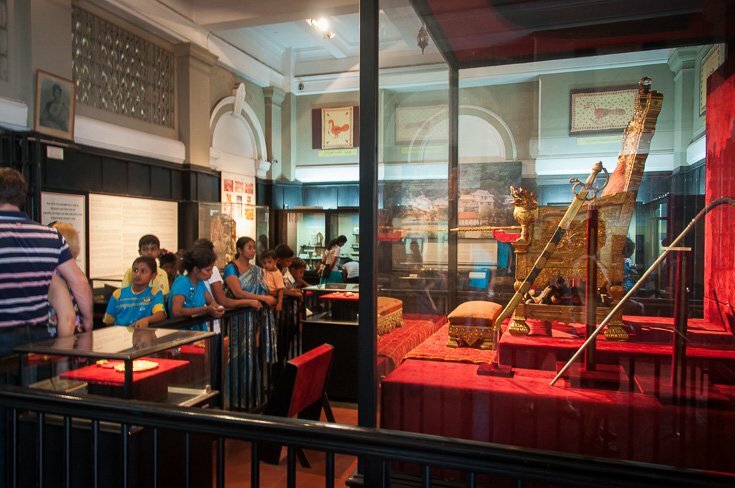 The museum also displays items own by the former royal family of Sri Lanka, like the King’s golden throne and crown. 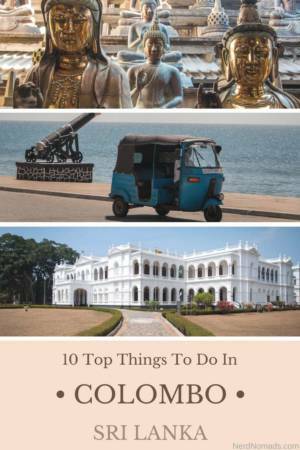 You will find a lot of art, carvings, swords, guns, masks, and statues from Sri Lanka’s ancient past as well as the colonial period. It is a really nice museum! All around downtown Colombo 1, in the Fort Area, there are stunning monumental buildings dating back to the Dutch and British era of Sri Lanka. Back then (Colombo was declared the capital of Ceylon in 1815 by the British) this area was a real fort as it was surrounded by the sea on two sides and had a moat on the landward sides. 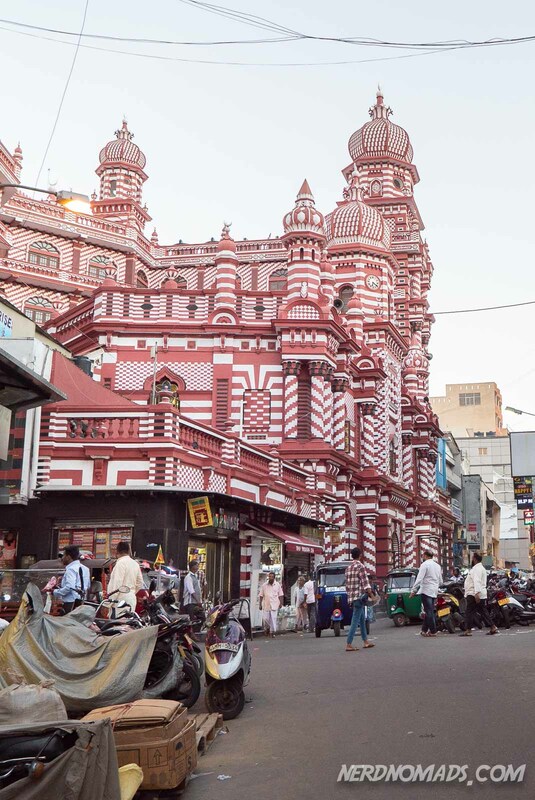 Today the Fort area of Colombo is packed with stunning old colonial-era architecture masterpieces that have been restored with a mix of modern structures. The Old Dutch Hospital is a good example of this (no. 6 in this guide) and well worth a visit. 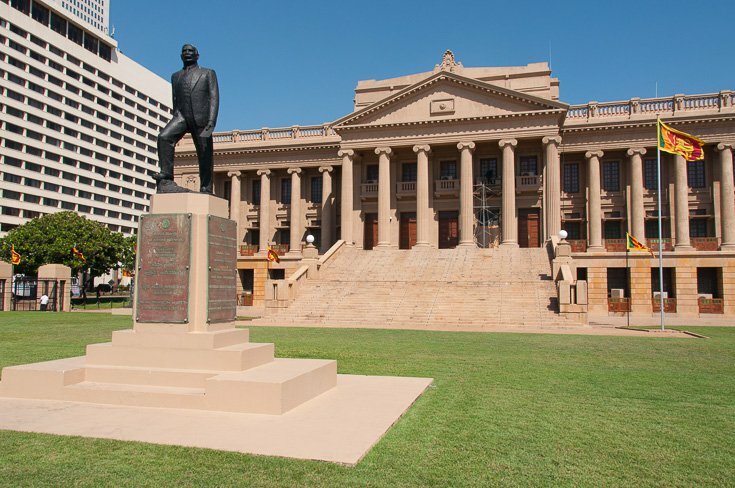 Also, this area houses the President´s House and various ministry and governmental buildings. This is a rather compact and small area, perfect for a stroll. 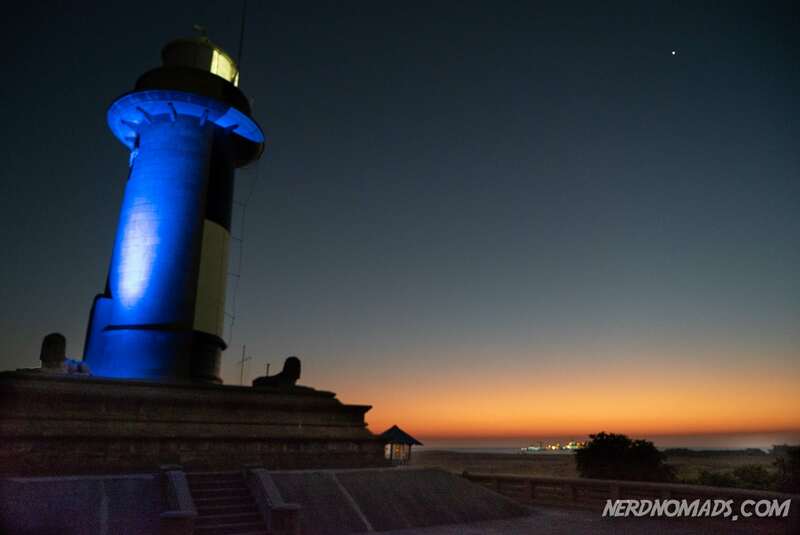 Start or end your walk at the beautiful Old Galle Buck Lighthouse and enjoy the nice view of the Colombo shore and harbor. Cargills Main Store – Dating back to 1906, this beautiful bright red building is a masterpiece. Unfortunately, the stunning building is quite empty, but there is a small Cargills convenience store inside where you can sit down and have something cool to drink. All the gifts from devotees are on display all around the temple, and it is a huge amount of stuff. 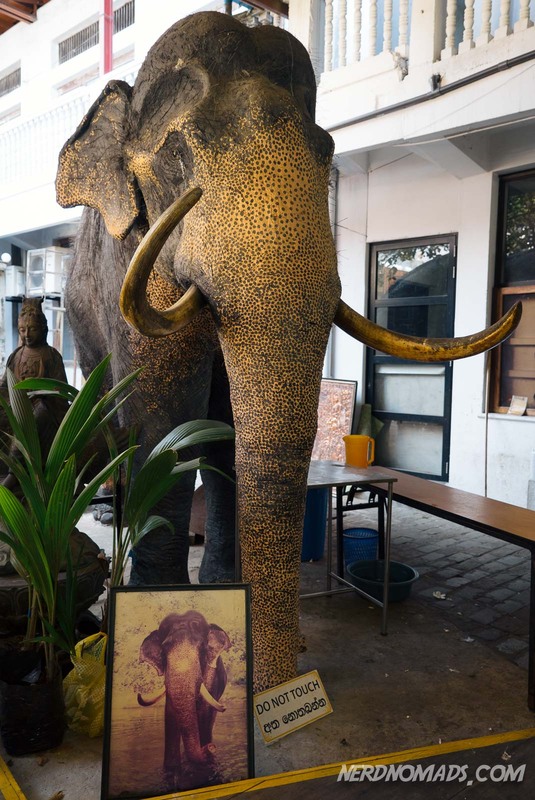 In one corner there is even a sad-looking elephant, he is actually a stuffed real elephant! Not as nice as the real ones out in the wild! Very weird and a bit scary! 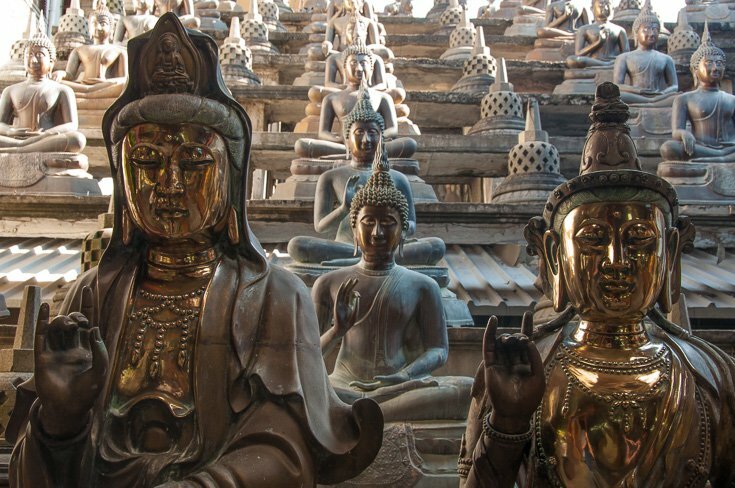 Visiting this temple is a truly unique experience, and well worth a visit. We visited this temple just a few days before the annual and big ceremony the Navam Perahera on the February Poya (full moon). 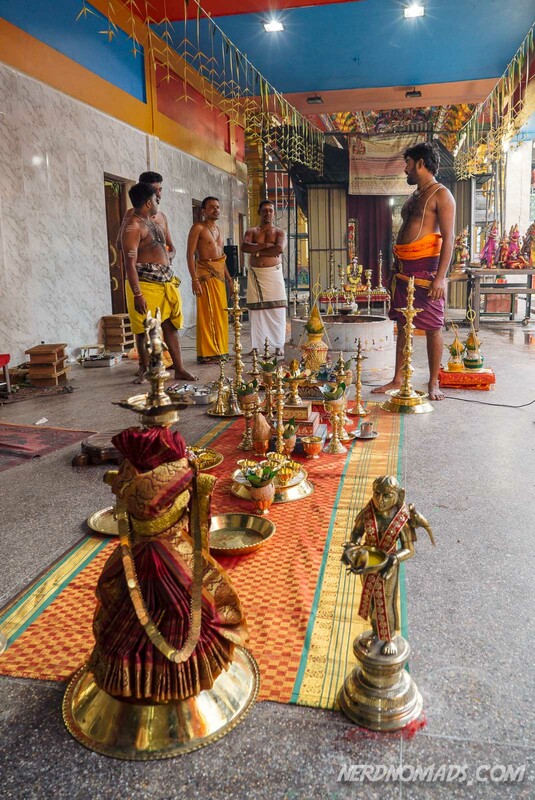 During this celebration, the Gangaramaya Temple is the main focus and it is the most extravagant celebration in Colombo. 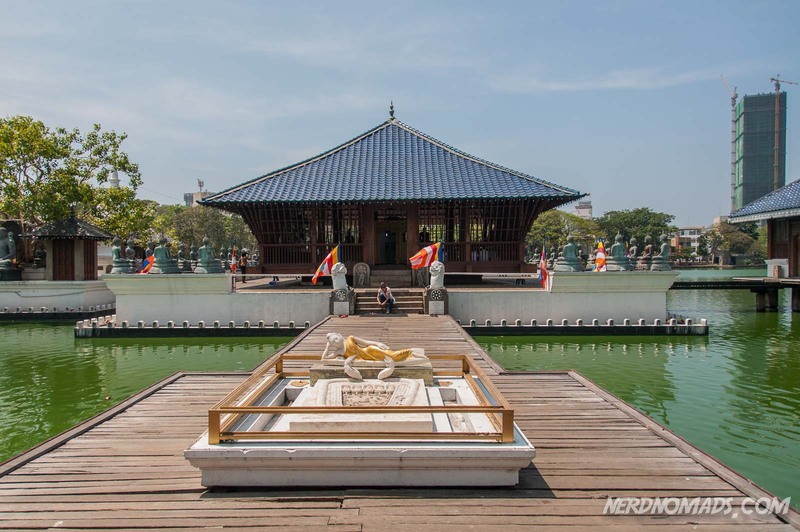 Close to the Gangaramaya Temple, in the heart of Colombo, is a huge lake – Beira Lake. The lake has crazy green colored water due to its pollution. In the middle of the lake is a small island containing the Simamalaka Shrine, which was built from donations made of a Muslim sponsor. The lake connects with other lakes through narrow canals and ends up in the Indian sea. In the colonial era, the lake and its canals were used for transporting goods within the city, and it still has its Portuguese name “Beira” which means border in English. You can see animals like storks, pelicans, monitor lizards, and there are various species of fish in the lake. 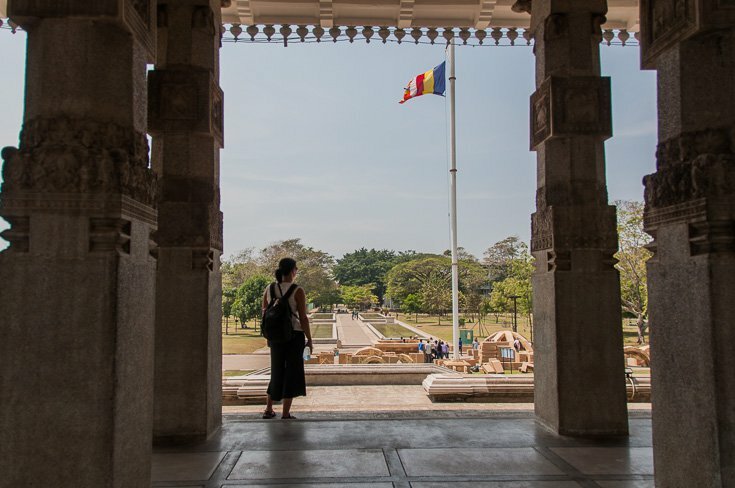 Sri Lanka got its independence from Britain February 4th in 1948, and this huge stone building surrounded by a peaceful, green, and lush garden is a monument to that. 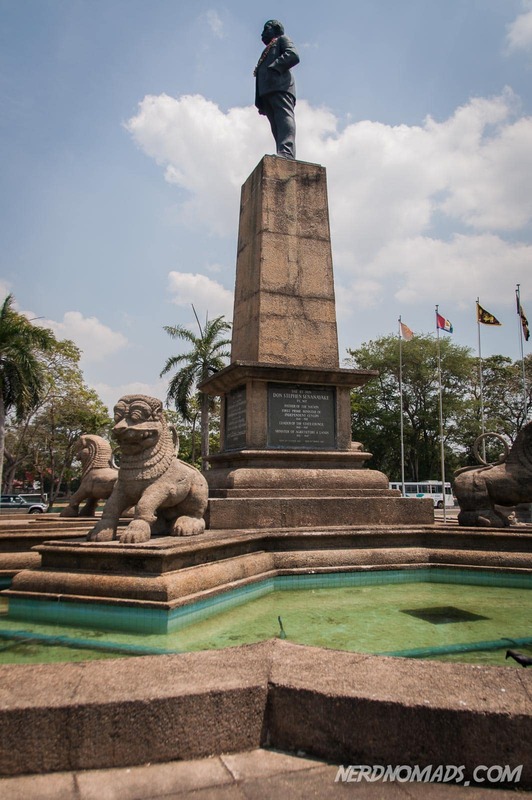 In front of it is a statue of Sri Lanka’s first president, “The Father of the Nation” Rt. Hon. Don Stephen Senanayake. The architecture of the Independence Memorial Hall is inspired by the Royal Audience Hall in Kandy. 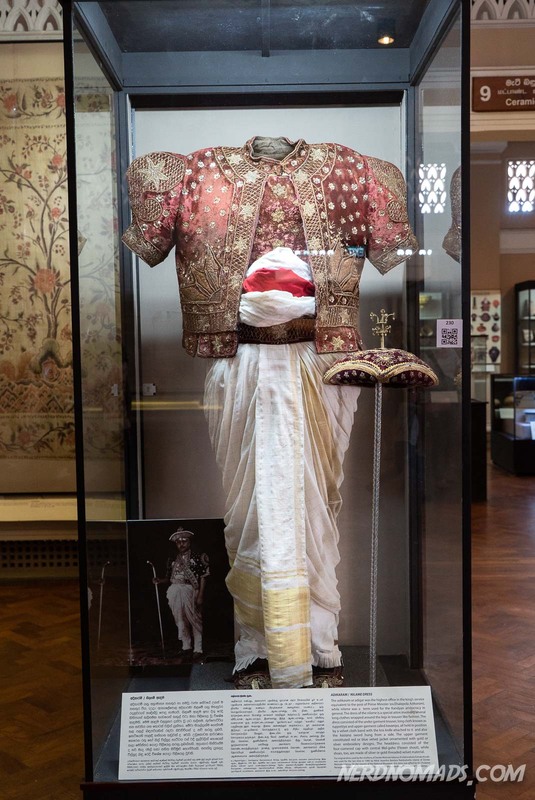 It was in the Royal Audience Hall in Kandy that the Kandyan Convention was signed on 5th of March 1815 ending the Kingdom of Kandy and making Sri Lanka British. I think it´s a really nice gesture and a nice way of linking these two big and defining historic moments together. Today this hall is used for religious events and the annual national day celebration. It also houses the Independence Memorial Museum. For us, the place was a nice escape from the noise and crowds of Colombos streets, as there was hardly anyone there. After all this sightseeing and wandering the busy and crowded streets of Colombo, the Old Dutch Hospital is the perfect place to have lunch or dinner. The Old Dutch Hospital is considered one of the oldest buildings in the Colombo Fort area, dating back to the Dutch colonial era (early 1600). It is beautifully restored and houses some really nice restaurants and cafes, and cool shops. I love the shop Odel and Barefoot, they have a lot of nice local quality clothes and souvenirs. We had the lunch special – Chicken Biryani with Watalappan for dessert, delicious! Pettah, Colombo 11, is one of the oldest districts of Colombo and walking around in this area is a real adventure full of sound, smells, and people watching. Plunge into the madness of shops, stalls, and markets. In between, you also see some religious buildings like mosques and churches. It can eventually become a bit overwhelming, so my advice is to plan for breaks in between to get your head straight from all the chaos. Just go with the flow. 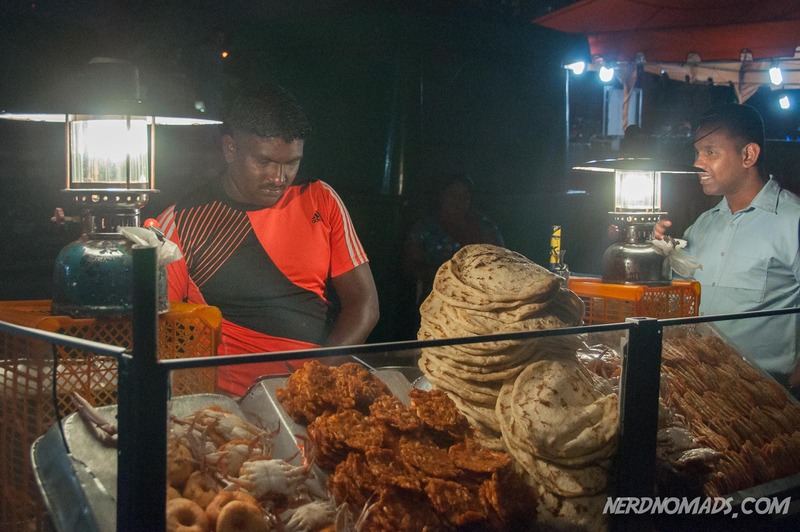 Pettah Markets – The Federation of Self Employees Market (off Olcott Mawatha Street, Colombo 11, opening hours: 07:00 – 16:00) along 5th Cross Street is packed with household stuff and food. You will find all kinds of colorful and delicious fruits and vegetables here. Manning Market (Olcott Mawatha, Colombo 11, opening hours: 07:00 – 15:00) is located just east of Fort Train Station and is Colombos wholesale market of fruits and vegetables. Central Market (Market Street, Colombo 11, opening hours: 07:00 – 15:00) is more modern than the other two. Dutch Period Museum – This building started out as the residence of the Dutch governor when it was built in the 17th-century, but has since housed a Catholic seminary, a military hospital, a police station, as well as a post office. The museum has a nice garden courtyard and lots of Dutch colonial furniture and artefacts on display. It was here that the King of the Kingdom of Kandy in 1638 signed the papers that opened Ceylon to the Dutch. (95 Prince Street, Colombo 11, opening hours: 09:00 – 17:00, closed on Sundays and Mondays). 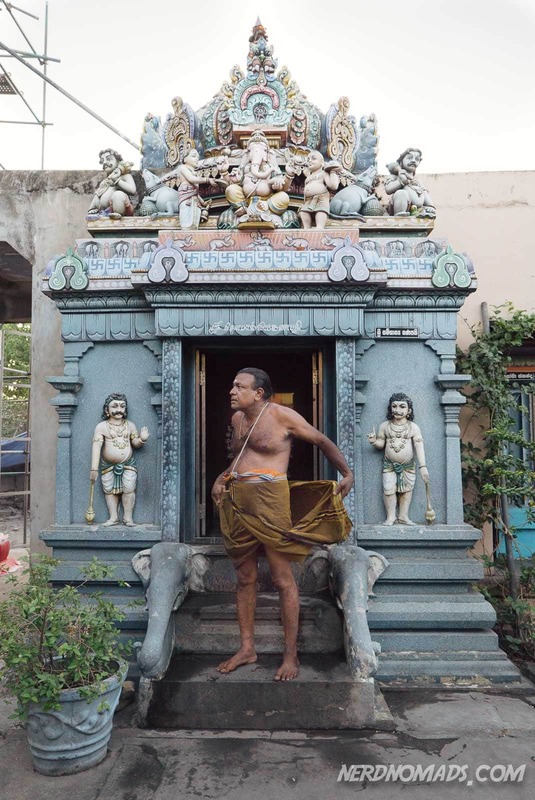 Also called Captain’s Garden Kovil, this is Colombo´s oldest Hindu Temple. 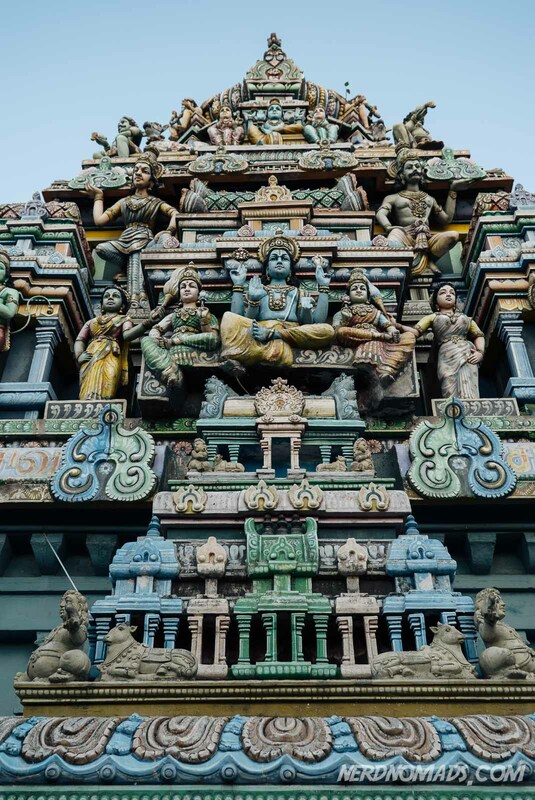 The South-Indian inspired architecture of this temple, as well as the beautiful and bright paintings, and detailed artwork, especially in the ceiling, is impressive. They were building some new structures when we visited, so the temple is still expanding. The temple has a lot of statues of many different Hindu gods, but the main god of this temple is Easwaran (Shiva) and Ganesh. There was a small orchestra consisting of a man playing some sort of flute and a man playing the drum. It made the whole experience quite atmospheric. The temple is quite popular and there were constantly people coming and going to pray at the temple. They were all very friendly and welcoming towards us even though we were obviously not there to pray. It is pretty tiring walking around Colombo in the heat, and the tuk-tuks are EVERYWHERE and really easy to find! They are the main transportation for both locals and tourists in Colombo, and they are also a lot of fun. Wherever you walk in Colombo, tuk-tuks will stop by you and the driver will ask you if you want a lift, not one time but like ALL the time! And if you don`t answer (yeah, it is possible to get a bit fed up with this), they will ask you again just louder. We ended up taking a tuk-tuk to most places we went in Colombo. 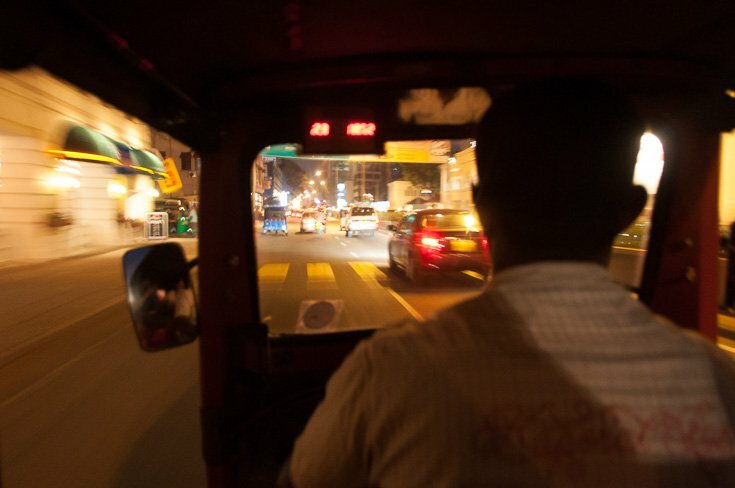 Riding a tuk-tuk is great fun, especially after dark! 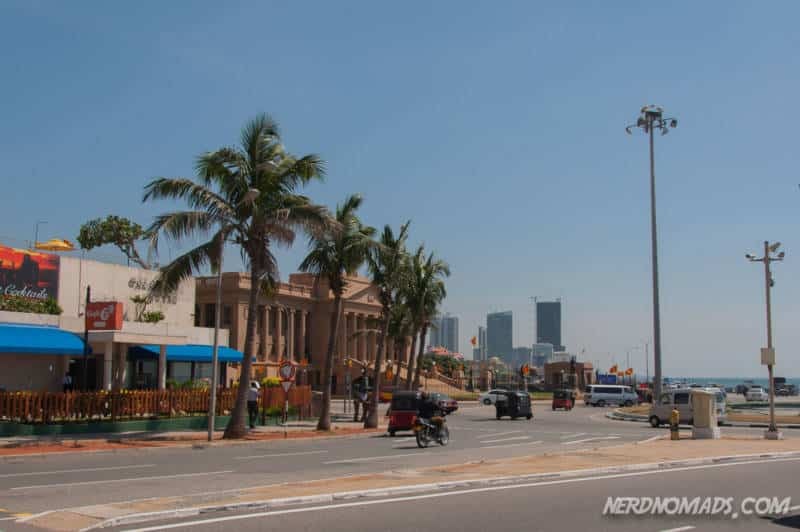 Galle Face Green, just south of the Fort Area, is a long stretch of green lawn next to the narrow beach and sea promenade in Colombo. Originally it was cleared by the Dutch to give the canons clear sight, but today it is a nice and peaceful place perfect for walking, running, playing football, kite flying, and cricket. The promenade is packed with couples and families taking a stroll in the afternoons, especially on Sundays. Galle Face Green is the perfect place to watch the sunset. Along the promenade there are also a lot of food vendors, selling great street food at a cheap price. Some of the places even have tables on the pavement. We had Indian food at one of those places, it was delicious! Although Colombo does not have many famous must-see sights, the city has plenty of charm, lovely and welcoming people, delicious food, plenty of fascinating history and old beautiful colonial buildings, interesting religious buildings, nice parks and gardens, and a great front porch along the shore of Sri Lanka in Galle Face Green. 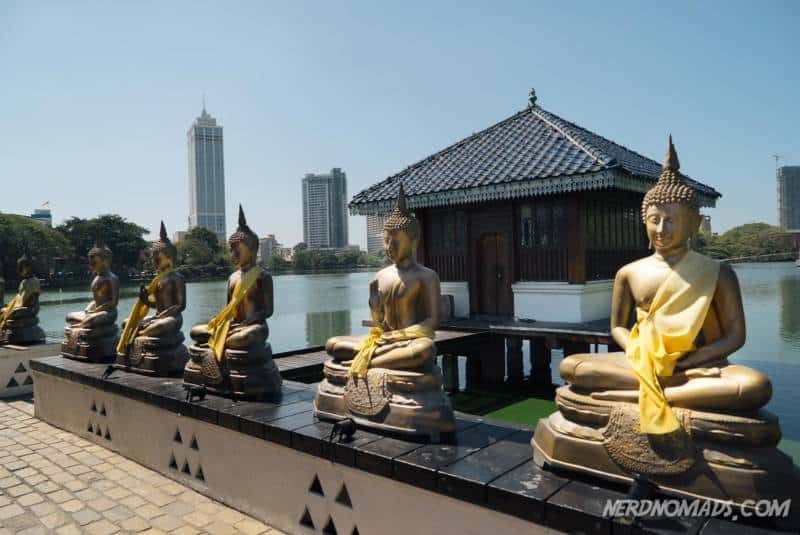 Colombo is well worth a visit for a day or two if you are heading to Sri Lanka, although I must admit that it is not the highlight of Sri Lanka in our opinion. ⇒ Check out our recommended Sri Lanka itinerary for tips on what else you should see in this beautiful country. The hotel we had booked on our first trip to Colombo turned out to be absolutely terrible! So determined not to make the same mistake twice, we asked other travelers we met around Sri Lanka for their hotel recommendations, and we did a lot of research before coming back to Colombo. A unique ten suite boutique hotel housed in a beautiful heritage mansion from 1930. The Paradise Road Tintagel hotel sits on a quiet lane in an up-market area of town. The cities attractions and plenty of food choices are within walking distance or alternatively a short 5 min taxi ride away. The suites are beautifully decorated and come with all modern amenities. The hotel has a pool, a small gym and a restaurant that serves an opulent breakfast. Among their former distinguished guest are the Prince of Wales and Duchess of Cornwall. 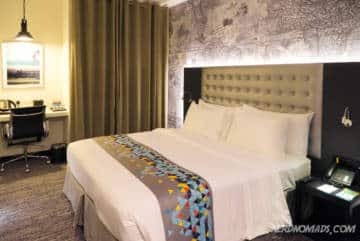 We stayed at this newly opened mid-range hotel in February 2017 and loved it! First of all the location is absolutely perfect, it’s right next to the old Dutch Hospital with its many great restaurants and shops. 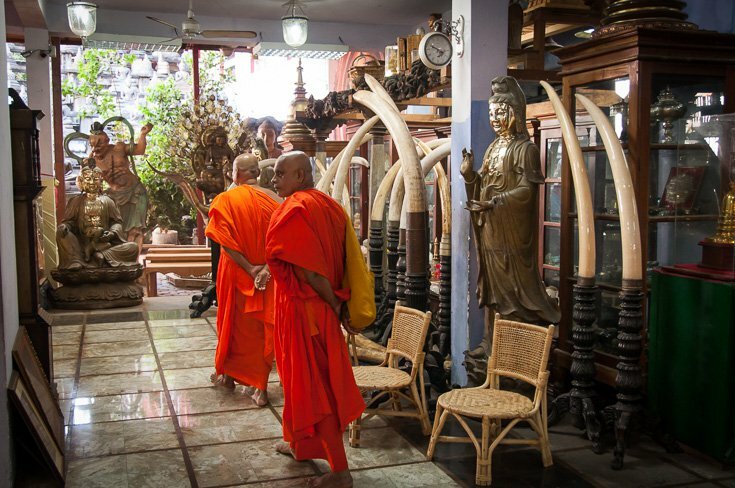 It’s a great place from which to start exploring Colombo. The rooms are new, clean, and modern with very comfortable beds, flat screen tv, safe and air con. The staff was very helpful both when we arrived in the middle of the night and in helping us arrange transportation to our next destination. The Cinnamon Red hotel offers excellent value for the money. This modern hotel is centrally located close to Galle Face Green. The hotels standout feature is its large rooftop pool and bar. Perfect for relaxing after a day sightseeing around Colombo. Rooms are large, comfortable and come with free wifi. Breakfast is good. Be aware that there is no room service. Looks great we head to Sri Lanka this Saturday and we are in colombo for a couple days so a nice helpful list!! Thank you SOOO much. We’re going on a cruise and only have 1 day in Columbo so your list will be invaluable. I’m a nurse so the Old Dutch Hospital for lunch will certainly be on the agenda as will a tuk tuk ride, a visit to The Galle Face green and a stroll around the market place streets. Wow, being on a cruise in Sri Lanka sounds great! 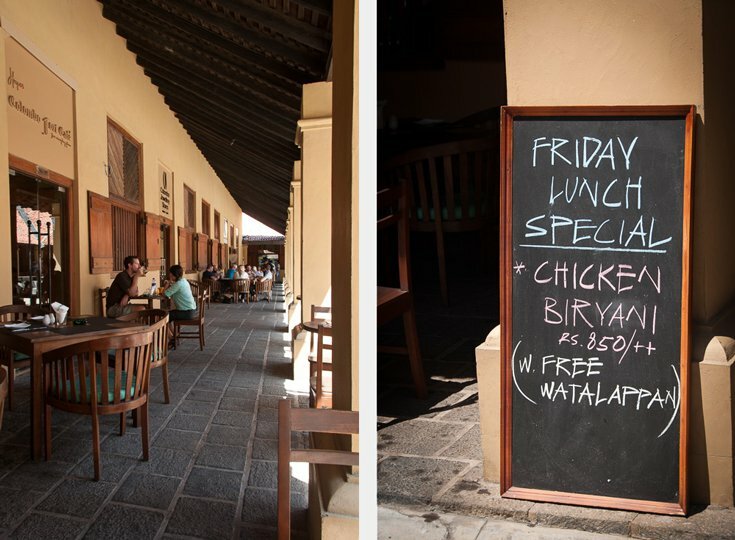 You will love having lunch at the Old Dutch Hospital, it was our favourite place to eat in Colombo. Enjoy your day in Colombo, and have an awesome trip Chris! I certainly plan to stop in Colombo. I love colonial architecture and am looking forward to seeing the Galle Face Hotel and some of the old structures in the Fort area. The museum building looks fantastic. I won’t venture inside but will go out of my way to see the beautiful building. Colombo has several beautiful colonial buildings, with the museum as a highlight. 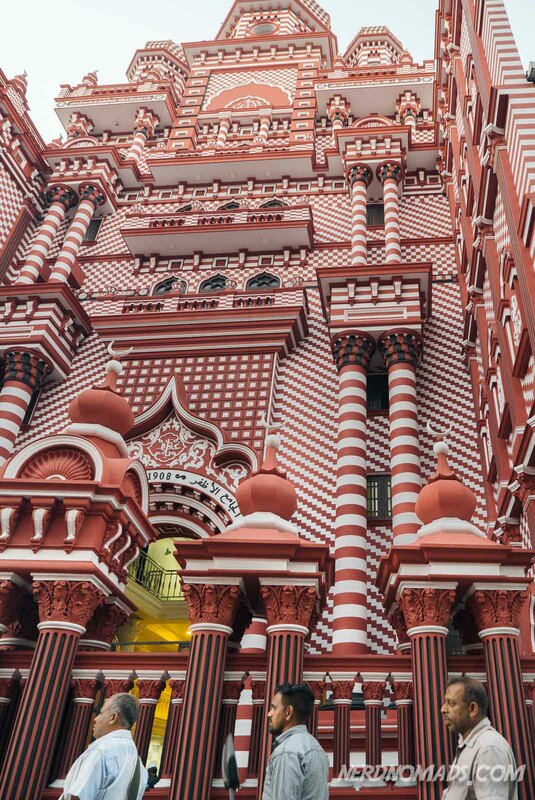 Definitely a must-see when in Colombo. The Old Dutch Hospital is also great with lots of restaurants, cafes and small shops. Really liked that area of the city. Have great fun in Colombo Ingrid! What a great list of recommendations! We have a full day in Colombo, so I was looking for things to do with my kids. You have beautiful photos and great writing!! Thank you for this! Ah, thank you so much! Glad this could be of help to you when planning your day in Colombo. We hired a tuk-tuk driver that drove us around the city, these were our ten highlights. Some of these places are great for kids too. Hope you had a great day in Colombo! Yes, it was helpful! Thank you! 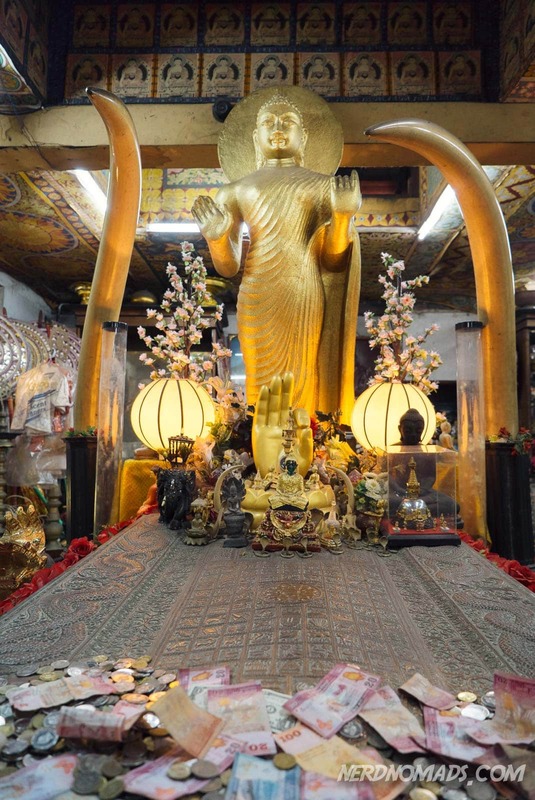 I wanted to go to Gangaramaya Temple, but we ran out of time. Maybe that means I should go back! Hi there, great list and tips. the old dutch hospital sounds right up my street! Was wondering it you could you tell me a bit more about your train trip to Galle? How long is the express train and how easy is it to get a ticket? Was Galle a nice Place to visit and would an afternoon be enough? we have two days in Colombo after coming back from the north so keen to see a couple of places but not too many and I heard Galle is lovely. Thanks, so happy you like our post! The Old Dutch Hospital is a lovely break from the hustle and bustle in the streets of Colombo, well worth a visit and a great place to have lunch or dinner. It is very easy to get a train ticket, we just bought it at the train station in Colombo the same day. Galle is beautiful and absolutely worth a visit! An afternoon is enough to spend here, it`s not a big city and you can easily walk around the narrow streets in a few hours. We loved Galle and have written a post about it: http://nerdnomads.com/galle. It does take some hours to get there and back to Colombo, five to six hours in total by train. So a day trip to Galle from Colombo will take the whole day. A taxi takes about two hours each way, if there is not too much traffic, and will probably be quicker and easier, but more expensive. Have a great trip to Galle! You will love it! your blog is so refreshing in the sea of extremely commercial sites out there! I love how down to earth you write about your trip. I was wondering if you have any tips for hotels in Colombo? We only have one day there (two nights) and the Fort area is what attracts us most but I think a nice hotel there is hard to find. Is traveling around in the tuktuk’s fast from one side of the city to the other? Or are there many traffic congestion’s? Thanks so much! Wow, thank you so much for that awesome comment about our blog! You made my day! I`m sorry, I do not have any hotel recommendation for Colombo, just don`t stay at the hotel we stayed at – Sai Sea City Hotel. It is awful! We walked passed some hotels that looked really nice in the Fort area, like the Hilton Colombo Hotel. But we did not walk inside. We travelled a lot around the city with tuk-tuk since we only had one whole day there and had to cover a lot during this day. It is fast, easy and cheap to get around in Colombo with tuk-tuk. And you will find tuk-tuks everywhere, or they will find you! 🙂 They are everywhere in Colombo, following you around trying to get you to book a ride. Have a great trip to Colombo, Malu! If you still haven’t made your booking , I’d recommend Cinnamon Grand/ Lakeside & Hilton Colombo (from the 5 star range ) and Cinnamon Red, The Ocean, Hotel Ozo & Best Western ( though a bit slow on service) from the 4 star range. Don’t worry there is a bit of confusion when placing the hotels in the star ratings, I think it has something to do with applicable taxes, and some hotels purposely downgrade their star rating. But the above is correct. 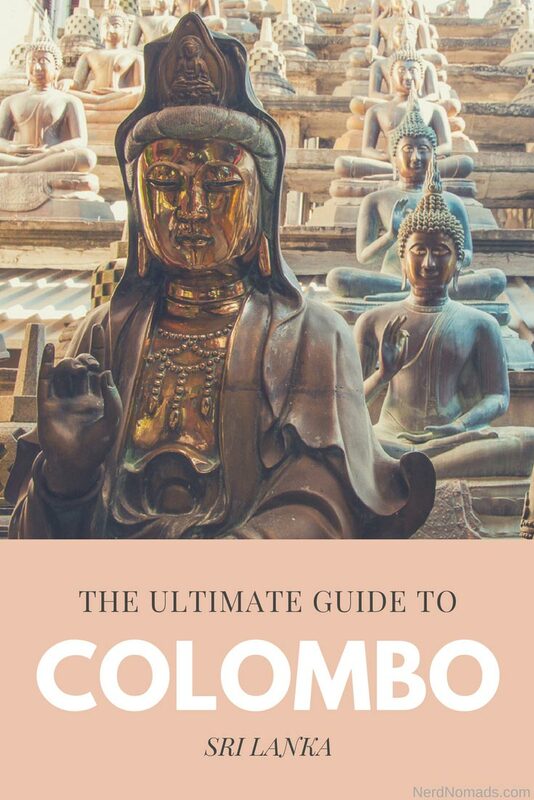 I have stayed at some of them, but I recemtly researched Colombo hotels for a new travel service we will be launching soon. ( No fear, I wouldn’t market myself 🙂 ). Cheers. Thanks Maria fir wonderful information about Colombo. Lets hope we do the way it appears in the blog. Have a great time in Colombo and Kandy! not sure i my last comment went through…. does one get change is usd??? They might give you dollars back if your request it, but the official currency is Rupees so they will most likely give you Rupees. We had some dollars with us and we did use that sometimes. But mostly we used the ATM machines to withdraw money in lkr. I am visiting Colombo between 27th to 30th so practically I have 28th and 29th to myself. Could you suggest a few short trips for a day ? 28th day I have already blocked for Galle after reading your review 🙂 second day I will have lunch at the old Dutch hospital. Have a great trip to Sri Lanka! I`m sure you will love it! Hi Maria , i am planning to come to Colombo in last week of June with my family. We will be staying in Hotel Taj Samudra for 4 Nights . We plan to go to Galle for a Day trip . Please suggest us places to visit in Colombo and Galle. Please recommend the best beaches/Night life / Water activities other interesting things to do . Have a great trip to Sri Lanka!! I never been to Sri Lanka. But now i am planning to go next year. I wonder when is the low season so i can save some cash heheheh. Can you advise me what i should not miss in Colombo for a 5 days trip, or shall i go for 7 days. It will be so helpful if you can suggest more places or any near by beaches. Also 3 star hotels if you know. High season for visiting Sri Lanka is December – March, shoulder season is April and September – November, while low season is May – August. Have a great trip to Sri Lanka! It is a beautiful country, you will love it! Hello Maria, I arrived Colombo today and while searching for things to do, I came to your blog. I stay at Taj Samudra, in the afternoon I went out for a walk on Galle Face, then took a tuk-tuk to Gangaramaya Temple. Then I visited Old Dutch Hospital, all thanks to your comprehensive suggestions on your blog. I started my discovery with tuk-tuk, paid 150 rupees, and then found a way to negotiate price for a ride to 100, and finally I took bus back to hotel for 10 rupees. I guess I got adapted to local style quite fast! Awww, thanks a million for your nice comment! It made our day! 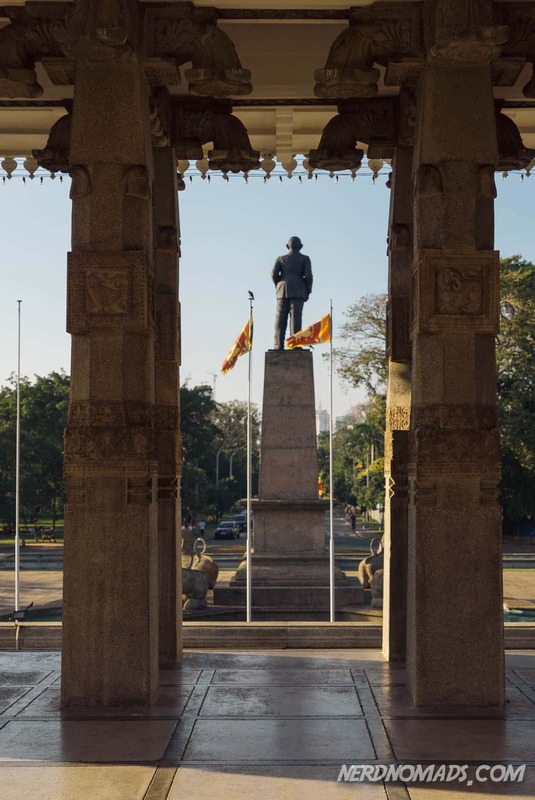 Awesome to hear that our Colombo post could be of inspiration to you during your stay in Colombo. I tried to write you a comment under your “Sri Lanka Itenirary”, but it didn’t seem to work. My wife and I are heading for Sri Lanka in December, and are planning on doing more or less the same journey you made – but in reverse. Your blog has given us great inspiration when deciding where to go and what to see! And besides all the great content, I must admit I’m pretty impressed with your websites structure and usability – fandeme godt lavet! Now ot my inquiry: When going through the travel arrangements you have made, I see you travelled directly from Polonnaruwa to Negombo in 4,5 hours – how did you do that? All tranportation we search for online doesn’t give us any convenient, nor fast, connections. Do you have any recommendation to which means of transportation is best between which cities? Very happy to hear that you like the blog! You are correct the train time from Pollonaruwa to Negombo is wrong, it takes about 6 hours from Pollonaruwa to Gampaha station (closest station to Negombo, about 30 minutes away by taxi) or 6:45 hours to Colombo Fort. I will correct the times in the itinerary. Your quickest option between Pollonaruwa and Negombo is to hire a car and driver. It takes between 3 1/2 to 4 hours to drive from Pollonaruwa to Negombo, so that saves you a lot of time. Overall I would say that the train journey from Ella to Kandy is stunningly beautiful and well worth the time it takes. Also, the train ride from Colombo to Galle is quite nice down the west coast. Other than that a car and driver is the most convenient form of transportation. The buses are horribly slow and drive like mad men most of the time so I’d stay clear of them. We hired a car and driver from Tangalle to Ella and Kandy to Pollonaruwa with a stop at Sigiriya. Took the train from Colombo to Galle, Tuk-Tuk/Taxi along the south coast, and train from Ella to Kandy and Pollonaruwa to Colombo/Negombo. It is very easy to hire a car and driver in Sri Lanka. It seems like everyone knows a driver and the hotels are very helpful in arranging for transportation. Car standards are also for the most part very high. Thank you for spotting the comment form error on the Sri Lanka Itinerary. We were wondering why we got so few comments on that one. Much appreciated! Have a great trip to Sri Lanka, and let us know if you have any more questions. Thank you so much, Gautam! Happy to be of help! Have a great trip to Colombo! Great to hear that you find this useful, Katie! Have a great trip to Colombo next month!! Going there for first time next month! Excited. Did not know there was so much to do. 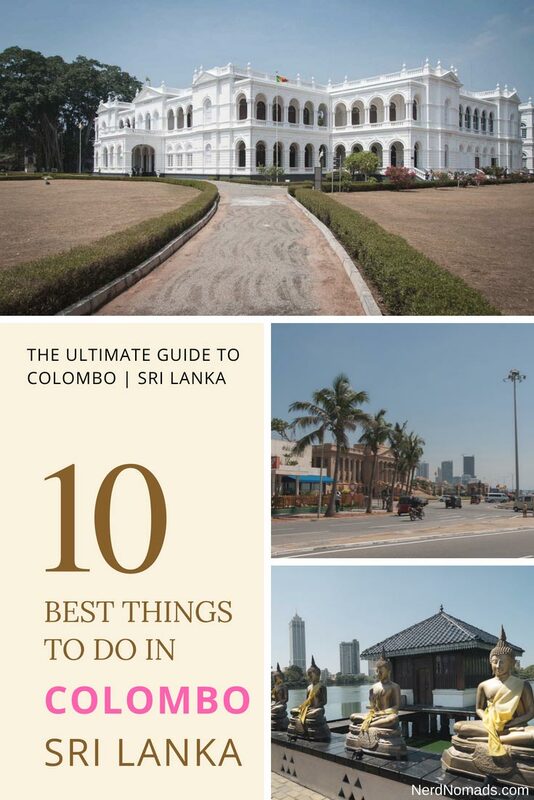 Thanks, glad to hear that our article could be of help to you when planning your trip to Colombo! Have a great time in Sri Lanka´s capital! I’m interested to visit Sri Lanka…. need to have more information about tourism attractions, sightseeing and what about weather in december? As for the weather conditions in Sri Lanka, the best time to visit the west and south coasts and hill country is from December to March. The best weather on the east coast is from April/May to September. The temperature remains mostly constant the whole year round since Sri Lanka’s position is close to the Equator. 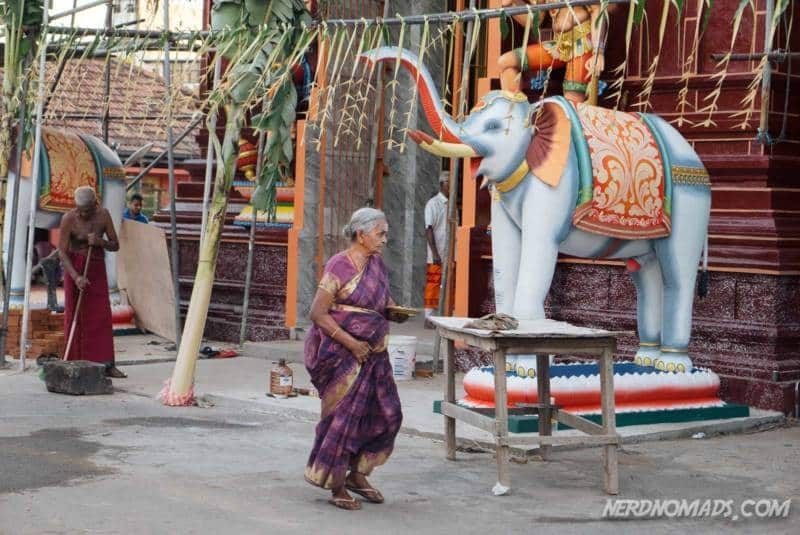 We visited Sri Lanka in February/ March for four weeks. Thank you so much! 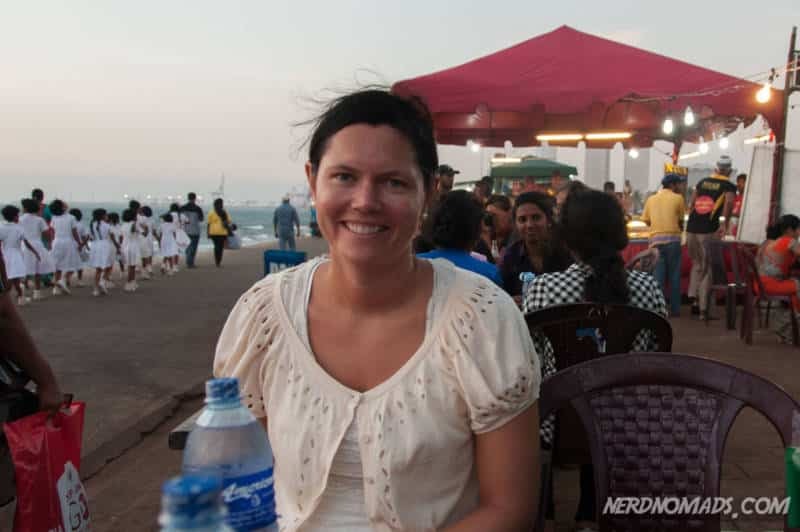 Walking along Galle Face Green in the afternoon and having some snacks at one of the many food stalls were definitely the highlights for us in Colombo. I’m so excited to visit Sri Lanka in July. Your blog is my go to site whenever I need more information. Thank you. Your travels are inspiring. Thanks a million! Your comment made my day! Have an awesome trip to Sri Lanka in July! We have a 9 hour stay over at Colombo Airport, and planning a short tour of 6 hours in the City, would you please advise some important locations that can be covered with in this short span of time. You will be able to cover a lot of Colombo city within 6 hours, as Colombo is not that big or has that much to see. 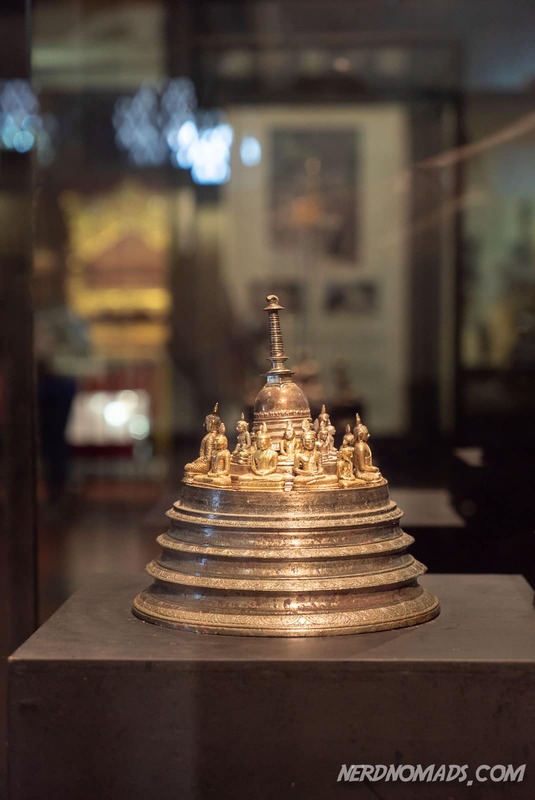 But in my opinion, the National Museum and the Gangaramaya Temple is well worth a visit. The sunset at the Galle Face Green is spectacular. And you should definitely have lunch or dinner, or both at the Old Dutch Hospital which has several great restaurants and cafes. Just hire a taxi or tuk-tuk to drive you around, the driver knows of all the highlights and will be very eager to show you the city. Have a great day-trip to Colombo! 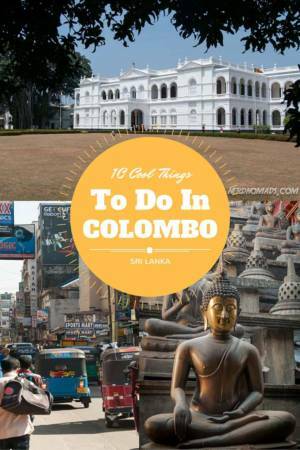 You will be able to cover a lot of Colombo city within 6 hours, as Colombo is not that big or has that much to see. But in my opinion, the National Museum and the Gangaramaya Temple is well worth a visit. And you should definitely have lunch or dinner, or both at the Old Dutch Hospital which has several great restaurants and cafes. Just hire a taxi or tuk-tuk to drive you around, the driver knows of all the highlights and will be very eager to show you the city. 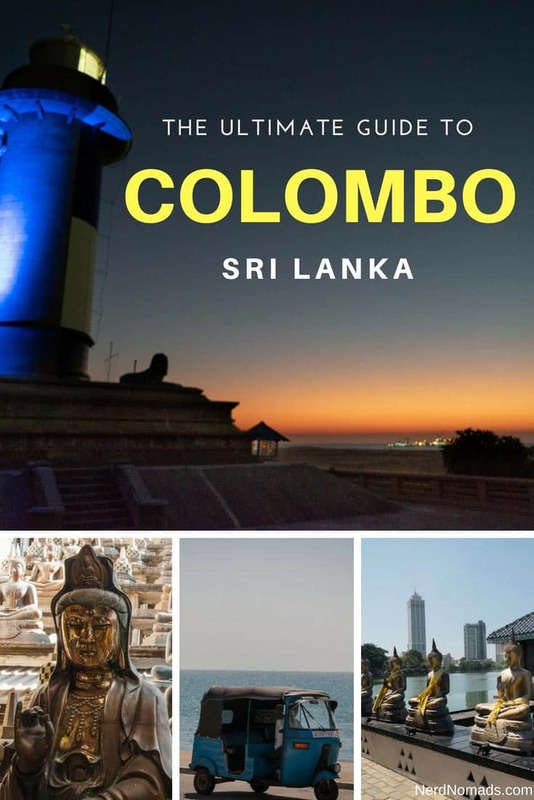 Very Informative article about traveling around Colombo city, there are lot of article about traveling through the island but traveling through Colombo is rare, so this article will help who just arrived to the island and looking forward to explore the big city. Cheers. Thank you so much, Rachitha! Colombo is not our favourite place in Sri Lanka, but it is worth a visit for a couple of days. Thanks so much for your inspiring guidelines on travel in Colombo . Really great help in helping me decide what to do when I visit Colombo in January next year. Thank you so much! So happy that our article could be of help to you when planning your trip to Colombo! Have a great trip to Colombo in January! Thank you so much . Your blog is really helpful. Can’t wait to visit! thank you so much for your great tips!! we will be there for one day only and I am really looking forward to going to the Old Dutch Hospital thanks to your recommendation! merry Christmas!! Thank you so much! One day is enough to see the highlights of Colombo. The Old Dutch Hospital is the place we like the most in Colombo. We stayed at a great and new hotel just next to the Old Dutch Hospital, the Fairway Colombo Hotel. Any suggestions for places to try out the local cuisine ? Amongst your listing of places above, which place will require a guide inside the premises, or is everything self explanatory? Also if a guide is required, are there state commissioned tour guides at the entrance of these places ? The tuk-tuk drivers know the city very well and are a combination of driver and guide. The tuk-tuk driver we had explained everything and also went inside with us some places. I do not remember seeing any tour guides outside these places, but I`m sure that the hotel you`re staying at can arrange a guide for you if you want. Have a great time in Colombo! Very cool that the map follows in the background when you scroll! Do you have the contact number for your tuk tuk driver? and how much roughly did you pay him for a day? Thank you so much! We struggled hard with getting the background map to work properly, glad to hear that you like it! Sorry, I don`t have the contact number for our tuk-tuk driver in Colombo. We just grabbed the first tuk-tuk driver that approached us as we stepped out of our hotel in the morning. I don`t remember how much we paid him, either, sorry, but it was pretty cheap. Thank you so much! 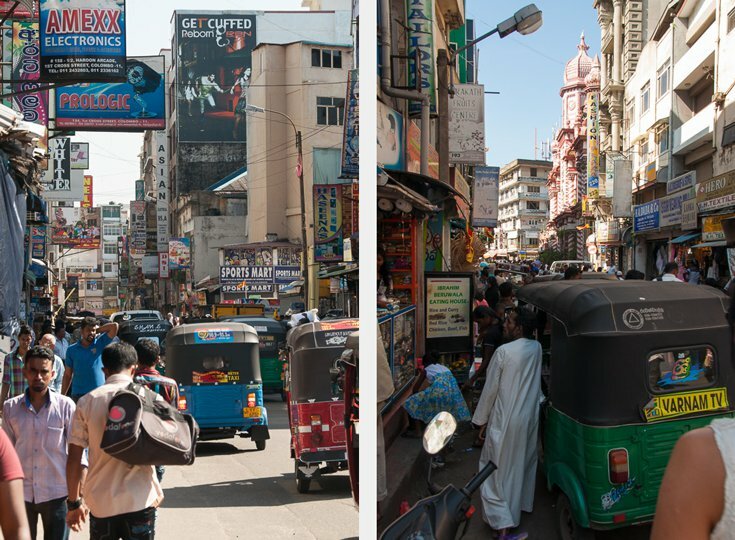 You can easily do a day trip around the sights of Colombo with a tuk-tuk like we did. We did an eight-hour tuk-tuk trip around the city and got to see a lot. Hi I have 10 nights in hand. Road trip. If I want to do a colombo, kandy, Ella, Nuwara Eliya, arunadharapura, Polonnaruwa, sigriya Rock, Dambulla caves, galle, mirissa beach, yala national park and back to Colombo? What is the itinerary that you would suggest and how many days each place and what should I omit – I understand these are a lot of places to see in 10 nights! Thank you in advance! This will help me plan a lot! 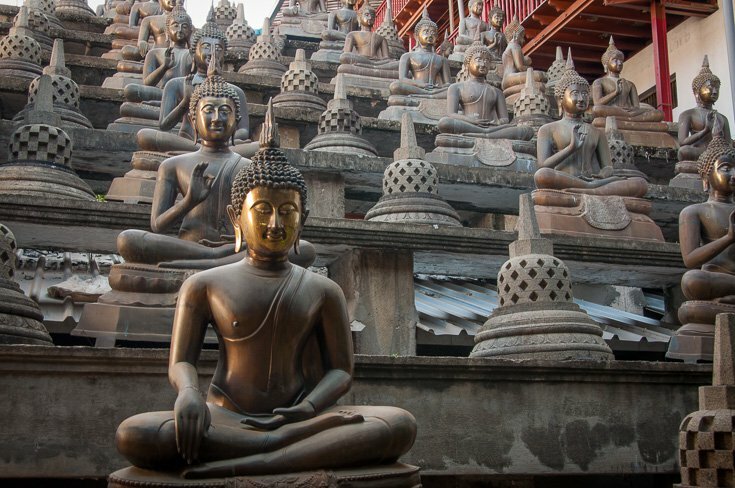 You can find our recommended Sri Lanka itinerary here. It is for 14 days, however, so you will have to cut something out to make it fit 10 days. You can, of course, do it the other way around. Since you only have 10 days, I suggest that you do either Anuradhapura or Polonnaruwa and not both. It is a hectic itinerary with a lot of driving, however, so you might want to cut something out. To save some driving you can for instance visit a National Park near Polonnaruwa instead of Yala. Grand! The Pettah Markets are a wanderers treat. Almost anything you want can be bought here, from hundreds of duplicate branded products, whether you want an Apple iPhone, to a Adidas t-shirt. Of course you go in looking like a foreigner, the chaps are bound to take you for a ride with prices. Something that a Sri Lankan could purchase for 1000/- rupees, will cost you a special rate of 4000/- rupees. If you’re looking towards touring the country, then I’d recommend you book you’re stay through AirBNB (https://www.airbnb.com), which will be quite a figure on the bill however. But in case you’re looking for a longer term stay, say 6 months, to several years, you’re better off looking for a place on PropertyPost (https://www.propertypost.lk). Colombo is the hub for business. And if you’re looking to import from Sri Lanka, then I’d recommend you check out i-Advertise (https://www.i-advertise.net). It’s somewhat the Alibaba of Sri Lanka. Thank you so much for all the tips! Hehe, yeah you are right, us foreigners always get a “special” price when shopping in Sri Lanka. 🙂 But the prices are usually a little bit cheaper than in Europe or the USA even with the “special” price. Can´t wait to be back in Sri Lanka! It’s Nelum here from Sri Lanka! It is lovely to read this travel blog/artical and this is realy helpfull for others who love to visit Sri Lanka! Thankyou for promoting our small paradise island and keep doing your good works! I should say that you have more knowladge abouth this country by going through above coments and suggesed itinerary. Thank you for recomending us as a lovely travel destination! I have fallen in love with your stunning country, the Srilankan people, and the food. The Srilankan people are so friendly and welcoming.